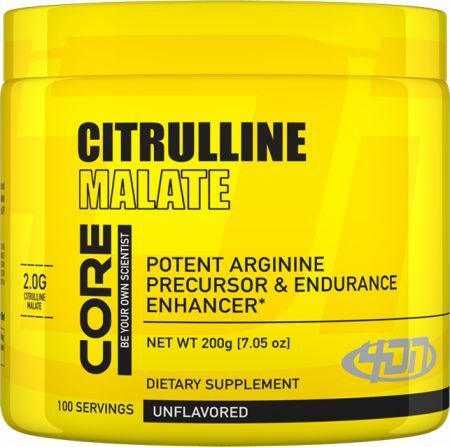 Citrulline malate (CM) is a solid supplement choice for athletes when it comes to strength, endurance, and overall blood flow to muscle tissue. It has become an extremely popular performance enhancer in several pre-workout supplements. The compound, a combination of an amino acid and an organic salt, is capable of pumping the muscles, staving off fatigue, and reducing post-exercise muscle soreness -- all without negative side effects. Of these three, L-citrulline is the most effective at increasing plasma arginine more effectively than supplementing with arginine or ornithine. This makes L-citrulline especially effective for athletes in training because you can get more from your workouts thanks to the amino acid compound's nitric-oxide-enhancing effects. This amino acid is often bonded with malic acid to increase absorption. 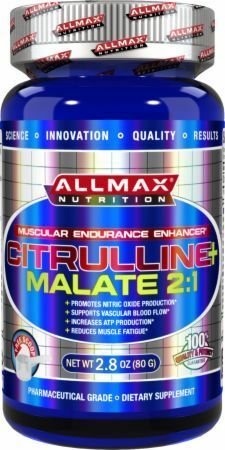 Additionally malic acid increases endurance in synergy with citrulline. Once absorbed and converted into arginine through the urea cycle, this increased arginine substrate results in increased nitric oxide production. 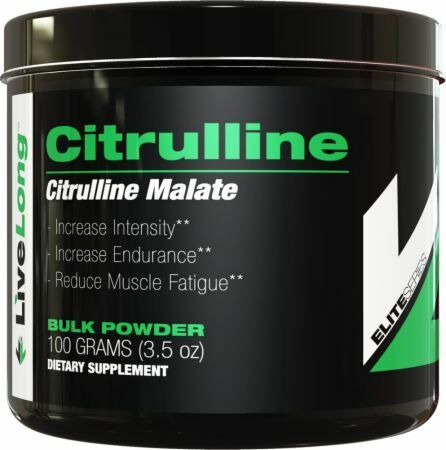 Citrulline malate supplementation is beneficial for increasing time to fatigue. Through its effects on the urea cycle, citrulline acts as a significant nitric oxide booster. Increased nitric oxide production leads to heightened vasodilation, which widens blood vessels and can increase oxygen and nutrient delivery to muscles. Another transient yet highly sought after effect of nitric oxide boosters is increased muscle pumps, leading to a temporarily fuller looking physique. All things considered equal, this enables longer-lasting, more intense workouts, resulting in bigger muscle gains and increased fat burn. Please note that the FDA does not regulate or oversee citrulline malate -- or any dietary vitamins or supplements, for that matter. Before starting a new supplement, be sure to talk to your doctor about the possible benefits or side effects. Lowers blood pressure. This may not be a benefit to some, which is why seeing a doctor before using nitric oxide supplements is extremely important. While working out and following a healthy, protein-rich meal plan can help you reach your fitness goals, taking a CM supplement can give you an extra edge. 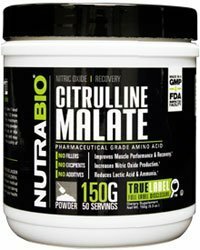 A study on lab rats shows increased muscle efficiency after taking 250mg of citrulline malate per kg of bodyweight. The human equivalent is 40mg per kg of body weight, which translates to roughly 3.3g for a 185-pound male. As far as weight lifting, which is the main use for this supplement, there are some real benefits. A study in Spain shows that bench press repetitions increased by almost 53% when the lifters took CM. In addition, it showed a remarkable 40% decrease in muscle soreness after the sets were complete. On top of its muscle-building benefits, it also works well for aerobic exercise. A study published in the journal Medicine and Science in Sports and Exercise demonstrated reduced exhaustion in 17 young, healthy men and women training on a treadmill. In another study, when 17 male cyclists were given CM before exercising, post-workout blood samples demonstrated plasma increases of citrulline, arginine, ornithine, urea, creatine, and nitrate, which makes it beneficial for increasing time to fatigue as shown above. When considering both performance and value, an optimal single dose of CM is 3g to 6g. 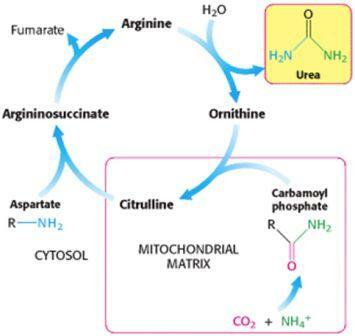 Despite the fact that citrulline is converted to arginine, the amino acid that actually boosts nitric oxide levels, it has been found to be better than supplementing L-arginine due to higher bioavailability and more efficient pathways. This explains its recent popularity over arginine when it comes to nitric oxide supplementation. Citrulline malate is shown to be free from negative side effects according to the Citrudose Pharmacokinetic Study. It involved eight fasting males, and once tested, they demonstrated that CM is more effective than L-citrulline alone. The combination provides a fast-acting boost to supercharge your workouts and increase muscle gains. PricePlow is your source for L-citrulline and citrulline malate supplements. 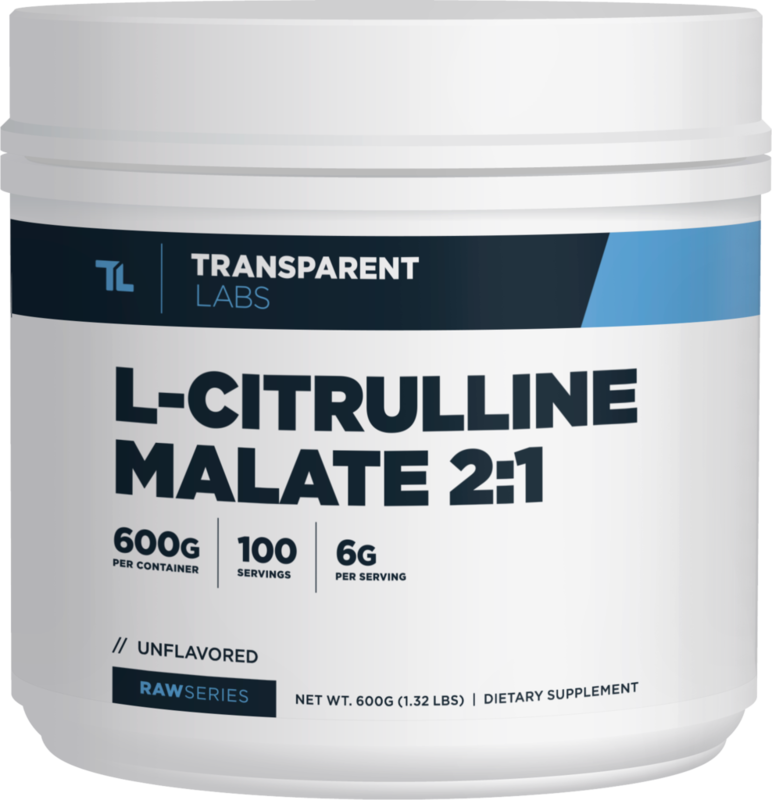 You can read more about L-citrulline here and decide which one best suits your needs, but we recommend citrulline malate because it's a powerful supplement that allows for faster absorption. Hickner RC. et. al. 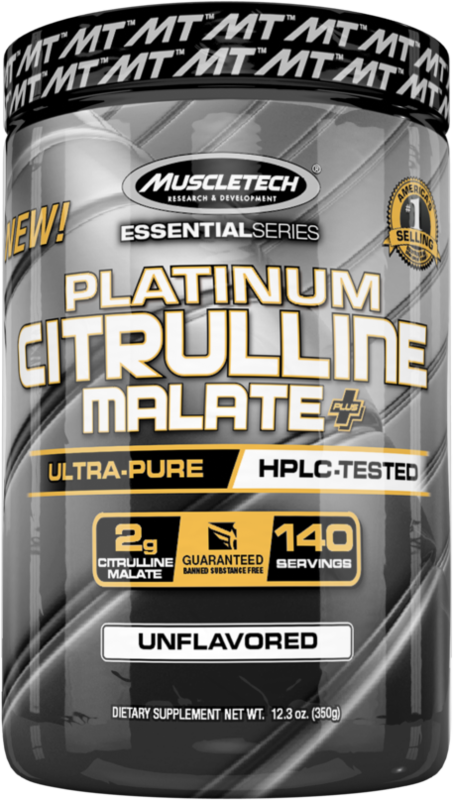 ; Medicine and Science in Sports and Exercise; "L-citrulline reduces time to exhaustion and insulin response to a graded exercise test;"
MuscleTech Platinum Citrulline Malate was created. Anabolic Science Labs Monster Dust Black was created. 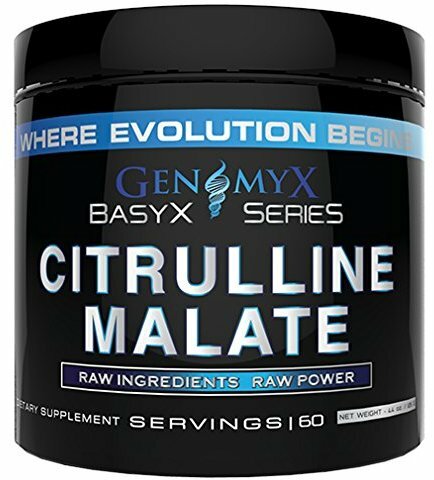 Genomyx Citrulline Malate was created. Novamino is InnovaPharm's new BCAA intra workout supplement that also packs in a full dose of the proven muscle builder Betaine Anydrous. Carbon Recover from Layne Norton's Carbon line of supplements on Bodybuilding.com has everything you need to speed recovery and reduce soreness. Scivation Psycho Review - Mood-Boosting PSYCHO Pre Workout! 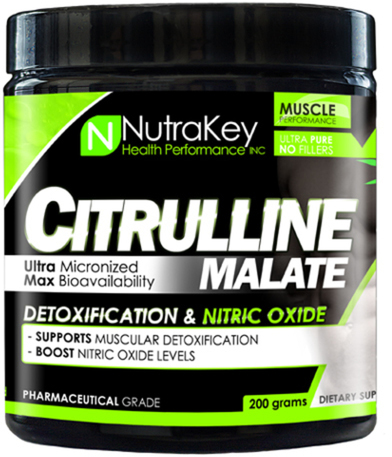 Sign up for future Citrulline Malate news! 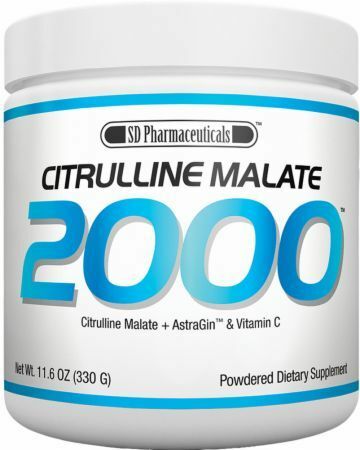 Click the button below to sign up for future Citrulline Malate news, deals, coupons, and reviews! Jan 17, 2014Scivation Psycho Review - Mood-Boosting PSYCHO Pre Workout! 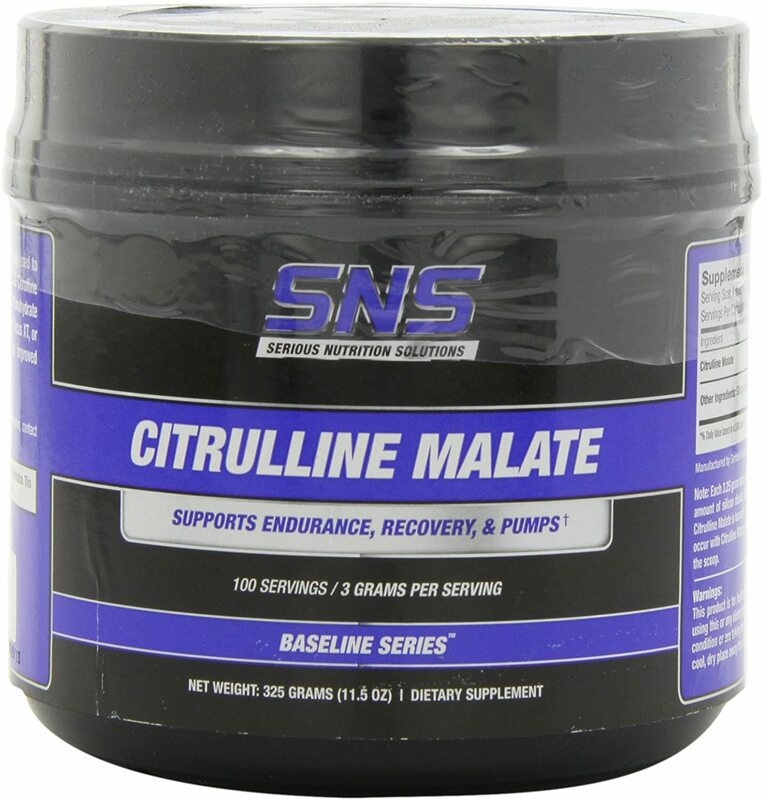 Subscribe for more Citrulline Malate news and alerts! 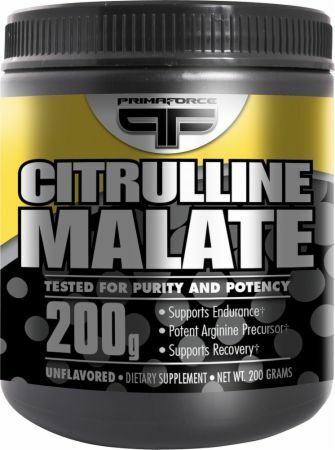 Subscribe to PricePlow on YouTube or click the button below to sign up for our latest Citrulline Malate news and reviews! $65.45 This is a Buy 1 Get 1 FREE offer!